The long-awaited release for Minecraft PE 1.8 which is a bit late. 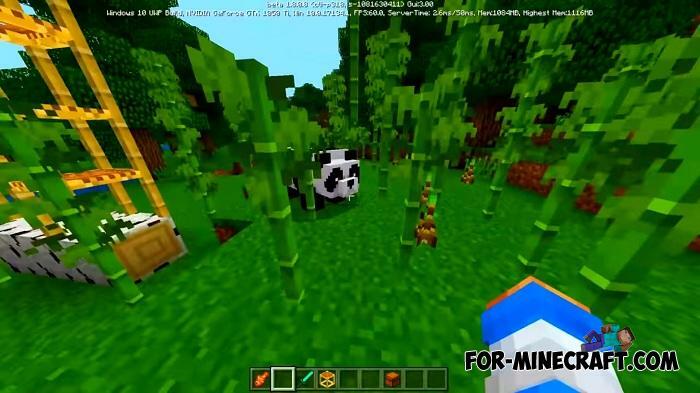 As is customary, now developers will concentrate on MCPE 1.9 and prepare the following Village and Pillage updates similar to Minecraft PC snapshots. Unlike the Java version, MCPE 1.8.0 release has several features that are discussed below. 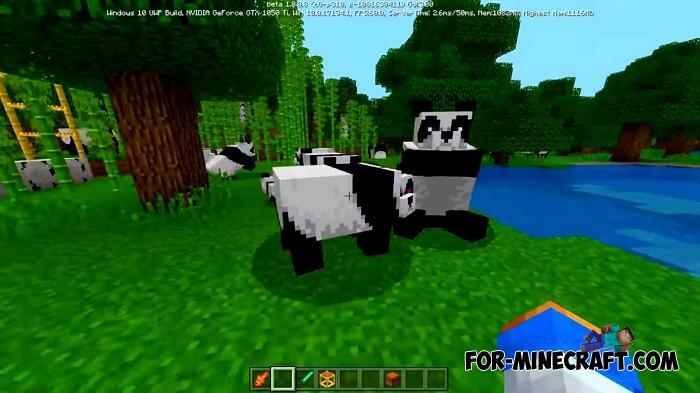 Perhaps the pandas were the main reason why Mojang announced this update. 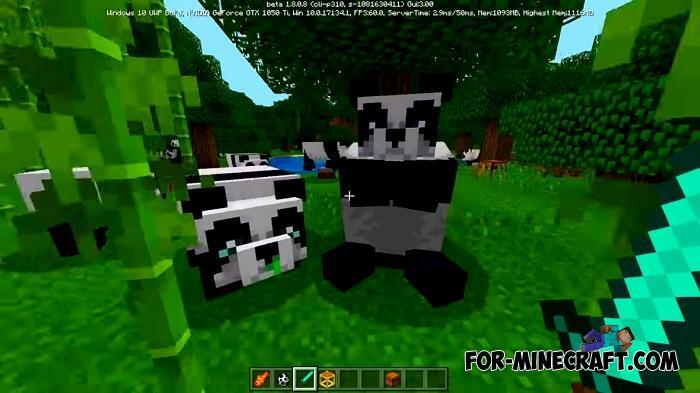 In the final version, pandas inhabit the jungle and eat bamboo. The developers took into account all the wishes, studied the scientific literature and watched a bunch of videos about pandas. Therefore, now pandas can tumble, lie down and rest and get angry. 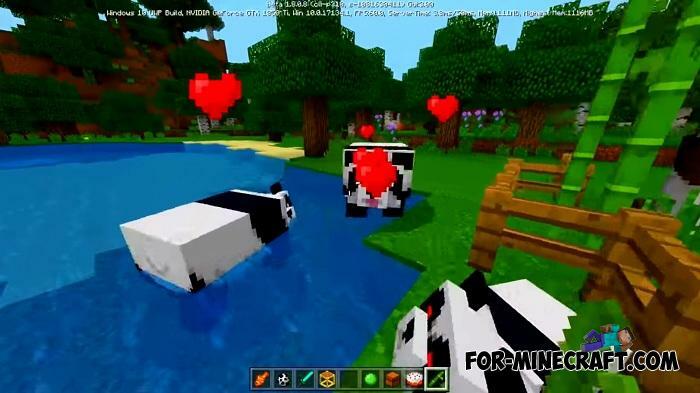 The second item in Minecraft Bedrock Edition 1.8.0 became stray cats. We have already written about them but in brief this is the most important thing: it is no longer possible to tame ocelots, they are completely different animals. Stray cats live in villages and can become your pets. They adore fish and will protect you from new phantom mobs that fly in the sky and can suddenly attack from above. 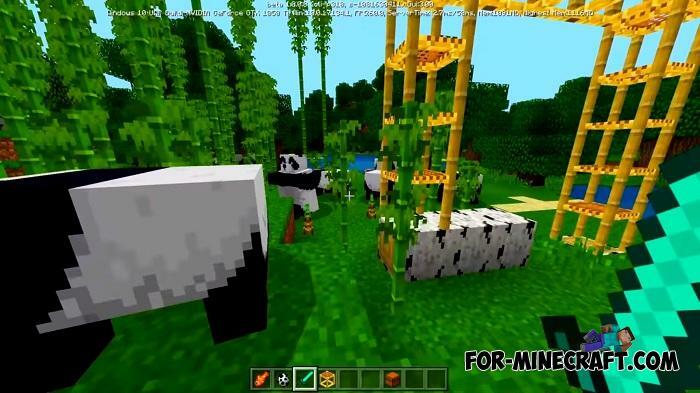 You can learn about bamboo and scaffolding from the full article - Download Minecraft PE 1.8, there is also a full changelog. We just want to note that this was the last beta version (although we may see Minecraft PE 1.8.1 and so on). Probably now all the forces will be focused on the refinement of Minecraft Bedrock 1.9, or attention will be paid to MCPE 2.0.